• Spinland Casino Review - A Well Put Together Casino? Spinland was created in 2017 by ‘a group of casino enthusiasts’, (it’s always a group of casino enthusiasts), with the stated intention to provide the ‘ultimate online gaming adventure’. There are hundreds of games to choose from with slots given pride of place in this land of spins. A large welcome bonus, loyalty plan that is open to everybody and a professional customer support team help to achieve their goal of making the players a priority. The Casino Gorilla is keen to take a tour of this new casino to see if their promises are met. Spinland are new kids on the casino block, and so they want to make their mark with a big welcome bonus offer. It is certainly pretty chunky, with up to £625 up for grabs, but there are pros and cons when it comes to this offer. On the positive side, the percentages of the matching deposit bonuses are certainly generous, with 100% on the first deposit and 50% and 100% on the next two. Plus there are 200 bonus spins to be claimed and you will get 500 loyalty points when you register and with every deposit you make. 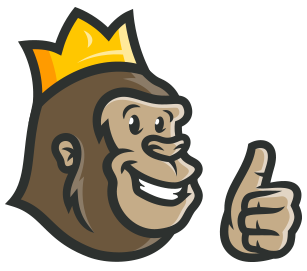 The Casino Gorilla is only disappointed with the hefty wagering requirement of 35 times deposit plus bonus, which will make withdrawals tricky to manage. There are 200 free spins to choose from when you join Spinland, giving you plenty of ways to win on those slots. The spins are parcelled out between three of NetEnt’s most popular slot games. The first batch of 50 is for Starburst, the next hundred for Gonzo’s Quest and the final batch can be played on Reel Rush. Unfortunately, there is a cap of £100 on what can be won from your bonus spins, so don’t expect to make millions out of this promotion. All that new players need to do is to make a qualifying deposit and their accounts will automatically be credited with bonus funds. Sometimes casinos will ask players to enter a code and will be strict about withholding the bonus if that code is omitted, but that is not something you need too worry about in order to claim the Spinland welcome bonus. If you need a bonus code to take advantage of future promotions then you will be informed in the terms of the offer. Okay, so maybe not a massive selection of every type of game. There are only 17 tables in the live dealer casino rooms, so not quite competing with some of the competition who focus on this area. 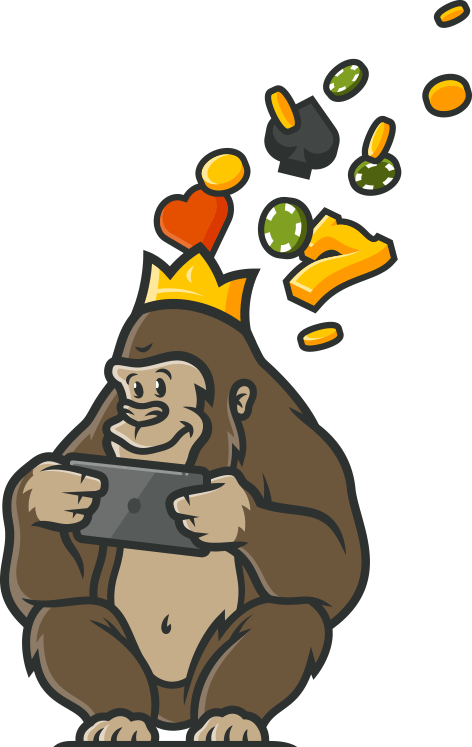 However, the Casino Gorilla is not complaining since there is still a great variety of different live games to play. That includes Blackjack, Roulette, Casino Hold ‘Em Poker, Caribbean Poker, Football Studio, Baccarat, 3 Card Poker and Dragon Tiger. Mobile-first users won’t miss out when it comes to the best of the gaming action at Spinland Casino. There are plenty of great options to choose from on your smartphone or tablet, and plenty of variety as well to keep boredom at bay. Android, Apple, Windows and any other modern devices are perfectly compatible with Spinland so that you can play when you are on the move. The Spinland Casino holds licences from both the British and Maltest gambling authorities, which is the highest form of recommendation you can get in terms of security and fair play. The latest encrypted software keeps personal information safe and sound at this casino, and the games on site are all regularly checked to ensure that they pay out fairly and correctly. There is no FAQ section to be found at Spinland, which is something of an oversight. Still, the better news is that customer support staff are available to answer any questions 24/7 at any time of day or night. Get in touch with the friendly and well-trained support team by contacting them on email or via live chat for an instant response. Like any country – real or imagined – Spinland has borders and unfortunately not everybody is welcome to enter. Due to local regulations, residents of some countries will not be able to join in the fun at Spinland. If you live in one of these countries you must look elsewhere for casino gaming: Australia, Bahamas, Belgium, Bolivia, Bulgaria, Cuba, Denmark, Ecuador, Estonia, Ethiopia, France, Ghana, Guam, Guyana, Hungary, Indonesia, Israel, Italy, Poland, Portugal, Réunion, Romania, Russia, Serbia, Singapore, Slovakia, Slovenia, South Africa, Spain, Sri Lanka, Tunisia, Turkey, Uganda, Ukraine, United States, Vietnam and Zimbabwe. Spinland is a well put together site that has clearly been designed with care and attention. The selection of games is excellent and features many much-loved titles. The bonus is certainly big enough, although with that demanding wagering requirement most people will never manage to withdraw their winnings from it. VIPs will be pleased to have dedicated support and reward plans, but there is a Loyalty Plan which everyone is entered into so even the smaller-stack players can benefit. Altogether this is a good site with a lot of positives. My best experience so far playing live online casino games. The support is top notch and also the selection of the games were truly commendable. I am extremely pleased with the very generous welcome bonus. I won some money on my very first game that really motivated me to keep on playing. The first casino to actually give me value for money!